When it comes to hobbies you might call my children, ‘jacks of all trades’. They love learning new things and tend to prefer to dabble in multiple hobbies rather than focus on one thing in particular. In many ways I think this is a blessing and a very positive experience for them. It helps to make them well rounded, prepares them for many situations, and allows them to try out a bunch of different things to see what they enjoy. However, if we are not careful, it could get quite expensive and time consuming to keep so many different plates spinning. In order to balance our desire for them to have many experiences with the need to manage our time and money wisely, we have found a few programs that balance those concepts. One key to managing our time wisely is that we do several hobbies together as a family. This keeps us from having to go in several different directions at once and allows that hobby time to also be quality family time. For example, our family is interested in history and more specifically Colonial and Revolutionary War era American history. We love to take day trips to various historic sites and learn about history but even more, we enjoy being a part of living history events. We volunteer with our local historic site, Tryon Palace, and participate in various events. The children love to dress up in colonial attire and teach others about history. We love that they are learning and we get to spend time together as a family. Another way we have found to help use our time wisely is to find programs that can be done at home. This minimizes travel time and allows various children to be working on different projects at one time. This helps us to be able to have them each work on hobbies that they enjoy without making me feel like I am spending my days running them from one practice to another. For their interest in art, we use the You Are An Artist Chalk Pastel classes. These are recorded art lessons that use either chalk pastels or acrylics (new) to help with a variety of beautiful artwork. I love that we can fit in their desire for more art with a teacher that can help them, without ever needing to leave our home. The lessons typically take us about 20 minutes. These also meet our criteria for using money wisely because the supplies are very inexpensive and by utilizing the Clubhouse you have access to a wide variety of lessons for everyone in the family for one low monthly price. If I were paying for in person lessons, I would only get one short lesson per month for one student for the price I am paying to get as many lessons as they want to take for all three of my students (the 4th is only a year old so no art lessons yet). Music has never been my gift but both of my children expressed interest. Years ago my son tried guitar lessons but the drive back and forth got to be difficult with the other small children. I also had to entertain them in the car while we waited for him and that was no fun. Eventually we stopped lessons. However, this past year I found a solution to their interest in music. My son is working through a subscription to Guitar360 Method. Since it is a lifetime subscription, he can take his time and work at his own pace. He works on it when he has time and interest. My daughter and just recently my 5-year-old son, are taking violin lessons through Practice Monkeys. There program is also online but is different in the fact that they can go online Monday through Thursday at their appointed times and take part in a fifteen minute lesson along with other students of their same level. This allows the teacher to offer feedback and them to ask questions. If we cannot make it to the live online class, we have access to the replay so that they can still practice. This has been a really great fit for my daughter. I’m still not sure how my son will do at his young age, but as it is a family subscription, I felt I did not have anything to lose by letting him try. A boy and his pig! My children enjoy being outdoors, working in the garden and with our animals. We have chickens, ducks, and bees that we keep year round but they wanted some experience with other animals. We were already involved in 4-H which is a great program that offers a variety of opportunities from science, art, public speaking, and more. Through 4-H we have connected with various chicken and livestock shows for them to begin growing their knowledge in those areas. 4-H has programs in place to help children of set the costs of raising and showing the animals to make it more accessible to all children. They even have programs to help students who want to raise animals but do not have the space to do so. We have found 4-H to be a great way for our children to explore a variety of different topics with minimal cost. The other benefit is that all of my children from 5-18 can do this together. Finally, my secret weapon, our annual subscription to SchoolhouseTeachers.com. Schoolhouse Teachers offers over 400 different courses. Many of these are more standard core classes, such as English and math, but they also offer a huge number of electives that can help your child explore various hobbies. I love these because when my child shows an interest in something, I can give them resources without any added expense or commitment. If they enjoy it they can keep working further, if the interest fizzles out, they can move on without the worry of wasted money. For example, my daughter recently spent $25 to buy herself a digital camera at a yard sale. She is really enjoying taking point and click pictures with it but wants to learn more about the different settings and how to take better pictures. This month was super busy for us but next month she is going to begin working through one of the photography courses that they offer. I could also have them take the homesteading course (or selected lessons from the course) to help them with their animal and gardening projects. This summer I am hoping that they can work through a few lessons in the heritage crafts course to add to their knowledge and skills when we do living history events. There are so many different options for various electives, music classes, and art classes. They are all included in a single family membership (either monthly or annually), you can start and stop them at any time, pick and choose from the lessons as needed. I love the flexibility to offer my children a virtual ‘buffet’ of learning opportunities to allow them to explore their interests without breaking the bank or becoming a full time chauffeur. I am so grateful for the opportunity to offer my children a wide variety or experiences to allow them to explore their interests and gain new skills without busting our budget or wasting all of our family time. I hope that this gives you some ideas. I would love for you to share with me in the comments about what you use to help your children pursue their hobbies. When people watch my children in the kitchen, one of the most frequent questions I get asked is, “Aren’t you worried about them using a knife?”. While safety is very important and we are always reminding them to use their knives safely, I do not worry because we have spent the time upfront to make sure that they have the knife skills they need to safely do the job. There are a few keys to good knife skills for children that will help them be able to use knives appropriately in the kitchen. This is one area that is challenging for a lot of parents. How do you choose the right knife for the child and the job? First, we need to understand that ‘dull knives’ are not the solution. This particularly applies to knives that are supposed to be sharp but are not and in cutting things that do not cut easily. If you are trying to cut something with a dull knife you are more likely to slip and cut yourself. When we start our children with a knife (somewhere around 2 or 3 depending on the child and their interest/development) we start with a butter knife and a lettuce knife. While a butter knife is not a particularly sharp knife, it is not designed to be sharp, and is used to cut things that are soft and easily sliced. This works great for soft fruits and cutting up veggies on their dinner plates. For harder vegetables and fruits that need a sharper knife you can use a lettuce knife. I love these knives because they will cut right through many foods but will not cut your child. As soon as we introduce them to these knives we begin instruction so that they learn to use the knives properly and safely. As they get older and begin to use regular kitchen and chef’s knives, we make sure they are kept clean and sharpened. You want them to be able to slice what they are cutting and not feel like they have to ‘hack’ at it. It is also beneficial to choose knives that fit well in their hands so that they are able to handle them comfortably. My two older children both received a Sabatier-K chef’s knife for Christmas a couple of years ago that works very well for them. It is a high quality but reasonably priced knife that fits well in their hands. We purchased ours from their outlet store but they are also available on Amazon. At 11 and 12 they can both do any cutting that is required for the meals that they cook. Instruction is vital to good knife skills. While a young child’s fine motor skills may not allow for perfect knife skills in the beginning, you do not want bad habits to develop. For older children or if you need a little refresher yourself, Alton Brown has an episode titled American Slicer that can help with knife skills. You want to make sure they learn to curl their fingers under and away from the knife, to have a good surface to cut on, to cut or peel away from their bodies, and to be aware of what is around them as they are cutting (make sure baby’s hand isn’t on the cutting board, etc). They need to learn not to run with the knife, to carry it point down like a pair of scissors, and not to swing it around like a toy. When you begin teaching about knives it is important that young children understand that they may only use the knife with permission and under supervision. As they get older they can be allowed more freedom. It is really important that we give them opportunities to practice. It can often seem easier and certainly quicker to just take care of it ourselves. However, giving them multiple opportunities to practice will help grow their skills and confidence. Like many life skills the more they practice the easier it will become, just be sure to continue to monitor for safety until you are confident that they are consistently using the appropriate safety measures. Teaching children to use knives can feel scary at first but it is a life skill that is so very important. Accidents do happen, but proper training and experience greatly decreases the risk! I highly encourage you to take the time to teach them well and enjoy the shared time in the kitchen. What kitchen skills are you wanting to teach your children? Exciting news from All About Learning Press this week ! 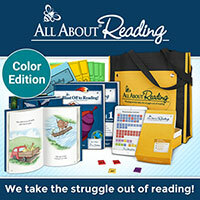 The NEW color edition of All About Reading is ready to order! We use All About Spelling and are hoping to use All About Reading next year with my son who will be in Kindergarten. LAST TWO DAYS FOR THIS SPECIAL PRICING ON SCHOOLHOUSE TEACHERS!! 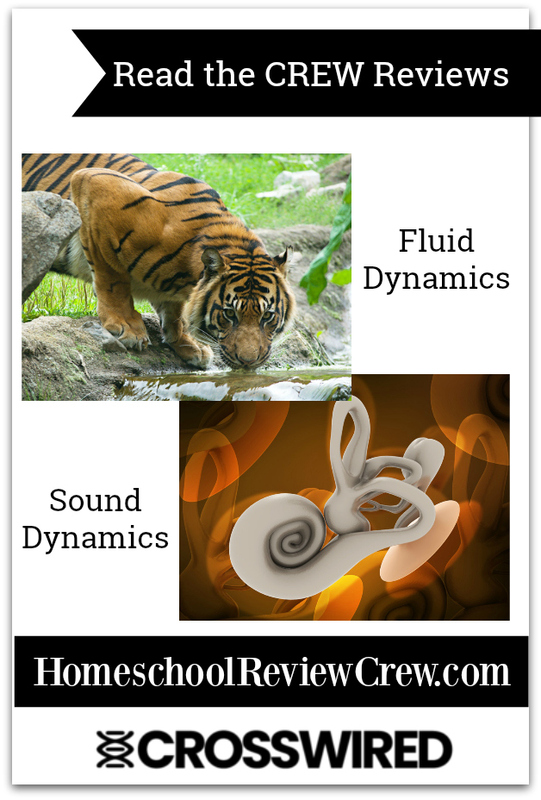 Changing Up Curriculum Without Overspending! It is January, a new calendar year, but for most folks the middle of a school year. It is often a time we reevaluate what were are doing in our home school to see what is working well and what needs some tweaks. Sometimes we can make minor adjustments and see big changes. For example, I shared last week about how I switched my son from regular chalk pastels to chalk pastel pencils and renewed his love of art. However, sometimes you need to make bigger changes. It could be that the spelling program you are using just is not working for your child, or they are frustrated and not understanding math because of the way it is presented. It can seem so simple to change things up on one hand, but I also know that curriculum can be a financial investment. It can feel like a waste to toss aside old curriculum without using it and purchase more curriculum (which may or may not be the right fit). However, continuing on with a curriculum that is not working is not just wasting money but time. So how do you manage to not waste money or time and still have the flexibility to find the right fit for each child? One solution is to buy used curriculum. If you can find the curriculum you want used you can save money upfront. Assuming that it is not a consumable product you should also be able to sell it when you are finished or realize it is not the right fit for your family and recoup much of your investment. 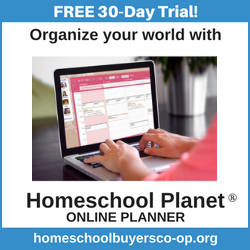 You can ask around on your local homeschool Facebook groups or e-mail loops, your local homeschool store (if you are lucky enough to have one), or check online at places like Amazon or eBay. What if you want even more flexibility or do not want to hassle with buying and selling curriculum? You might want to the ability for your children to pick out some of their curriculum based on interests or to add electives as the year progresses. 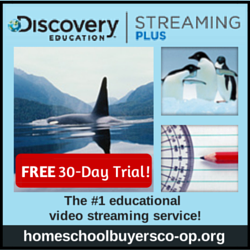 This is where a family membership to Schoolhouse Teachers can be the perfect solution. They have a variety of classes for each grade level in most subjects with a total of over 425 courses for the whole family. This means that if you are working through one of their 7th grade literature courses and decide it is not quite right, you just switch and take a different one. All of the courses for ALL of the students in your family are included for the same low price. You can also combine courses or just do certain lessons depending on what you need for your child. I personally use a combination of both of those approaches to give me flexibility to work with what each of my children needs, to change things up as we go along, and yet to stick to a reasonable budget. We use math from other programs, but love the literature courses on Schoolhouse Teachers. I love the fun hands on courses for my preschooler and enjoy being able to give my children access to instruction in a variety of electives based on their interests. If you were looking for an inexpensive way to change things up or just wanting to add in some fun electives like music, drama, bread making, photography, homesteading, graphic design, or wild life adventures, you should consider a membership to Schoolhouse Teachers. Right now they are running a great special that makes their already good value even better. You can get access to all 425+ courses, World Book resources, and lots of parent resources for your entire family for only $90 a year. You can pick and choose as many or as few courses as you would like and change them whenever you see fit. You can do lessons from various courses or do the entire course straight through. NOT CONSUMED is having a great sale on her Bible studies right now as she prepares to make some changes and additions to the age levels. There are some great deals at clearance prices. We are currently enjoying the one on the ‘Fruit of the Tongue‘.